Featuring nine variable conference rooms for 2 to 200 people, an impressive sky lounge including a roof terrace with a spectacular view over Hamburg, a sophisticated executive lounge for up to 15 people as well as a large function room including a separate foyer and bar the SIDE Hotel will turn your conference into more than just business. 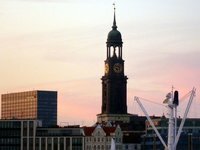 State-of-the art equipment, puristic interior, a natural warm atmosphere and courteous however discreet service – these are the attributes SIDE stands for in order to provide the perfect atmosphere for meetings, incentives and events in Hamburg. Conference rooms are available in the following size categories: S, M, L, XL – additionally SIDE is home to a sky and executive lounge as well as a terrace with a gripping view over the city of Hamburg. All rooms are equipped with stylish interior, modern communications technology and air conditioning, daylight and completely darkened.